These terms and conditions (TAC) apply to „The Casual Card Group Ltd.“ based in Seychelles (below «Casual Group»), issued Casual Card and regulate the legal relationship between “The Casual Card Group Ltd.” and the holders of a casual card (below «Cardholders»). These terms and conditions apply exclusively to members with a closing date from 01.12.2017. For existing members, the TAC apply at the time of conclusion. Male-female double forms are omitted in the sense of better readability. An order is made online via the Internet, in writing by means of a card application or if completed via a call center, then verbally from which a voice file exists. From the date of the online order or the date of the card application, the contractual relationship with the Casual Group has already been completed and the customer can already use various services of the Casual Group. In addition, the purchaser receives a confirmation (welcome letter) of his acceptance, usually together with the first invoice. In addition, the cardholder will receive a personal casual card in his name which can be sent delayed. The Casual Group may decline to order a casual card without giving any reason. With the online order or signature on the card application, the cardholder confirms that he / she has read, understood and accepted these terms and conditions. The Casual Card is issued in person in the name of the Cardholder and is not transferable. Each casual card issued remains the property of the Casual Group. The cardholder may apply for a personal non-transferable additional card for a person living with him in the same household. For all obligations arising from the use of the additional card, the cardholder and the additional cardholder are jointly and severally liable. In case of early termination of the contract there is no right to a proportional return of the annual fee. The annual, semi-annual or quarterly fee is paid on receipt, unless otherwise indicated, within 10 days. This in each case is the marked account of the Casual Group or payment agent marked in the invoice of the Casual Group. For payments made during the year, there will be an expense allowance from 5.00 CHF ie 4.00 € charged per invoice. Reminders are charged at a fee of 25.00 CHF ie 20.00 € per reminder. If the collection has to be initiated, a lump-sum fee of 50.00 CHF will be charged, in addition, individual costs of collection may be incurred. The casual card is issued for a minimum period of two years. The relevant period of use and thus the contractual period in accordance with these conditions is the expiry date printed on the Casual Card. The Casual Card and the additional and additional benefits associated with the Casual Card automatically expire at the end of the month / year printed on the Casual Card. 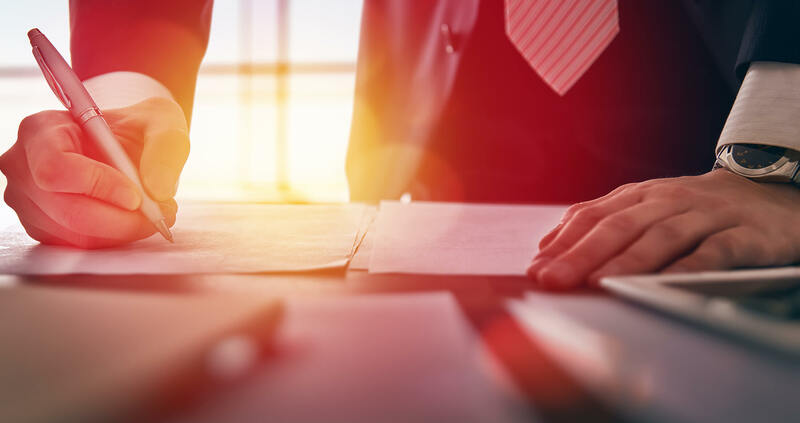 Unless the cardholder has not terminated his contract punctually in accordance with section 1.6 below, the contract will automatically be tacitly renewed for another 12 months. In this case, the cardholder will be sent a new casual card on time and automatically. The old casual card is to be made unusable immediately after expiry of the period of validity. The Casual Group reserves the right not to renew tickets for any reason. The replacement of a not yet expired casual card is chargeable. The fee for a replacement card in Switzerland is 30.00 CHF in the rest of Europe 20.00 €. Exception of this regulation is the Purple Card, this validity ends automatically with the achievement of the 18th birthday. The Online Orders or Applicant has the right to cancel the order within 14 days of the online order or signature (order date /signature date). For orders over the telephone this period applies 1 day after date of the postmark on which the TAC were sent. The cancellation must be made in writing form and with a recommended letter. Other revocation ways do not have to be accepted by Casual Group. The cardholder has the right to withdraw from the contract within the first 3 months after the application date without incurring any costs under the following conditions. • The card was obviously not accepted by at least three partners. • The Casual Card has been given the opportunity to solve the problem with the responsible partners. The notice of termination must be given for reasons, in writing and with a registered letter, including the personally issued card, at the address mentioned under 1.6.
b) by indicating the name, the card number and the expiry date – for services by telephone, internet or by correspondence. The cardholder accepts all regulations of the acceptance points. The Casual Group assumes no liability for the refusal of services on the part of the acceptance points. The cardholder acknowledges that the acceptance points can constantly adapt and / or change their offer, or that certain acceptance points can be omitted altogether from Casual Group’s offer. The possibilities of using the Casual Card can be extended, restricted or canceled at any time by the Casual Group. The use of the card for illegal purposes is prohibited. In case of loss, theft or suspicion of misuse of the Casual Card, the Cardholder must notify the Casual Card immediately. Upon receipt of notification of loss, theft or suspected misuse of the card, the Casual Card will be replaced to Cardholder’s. 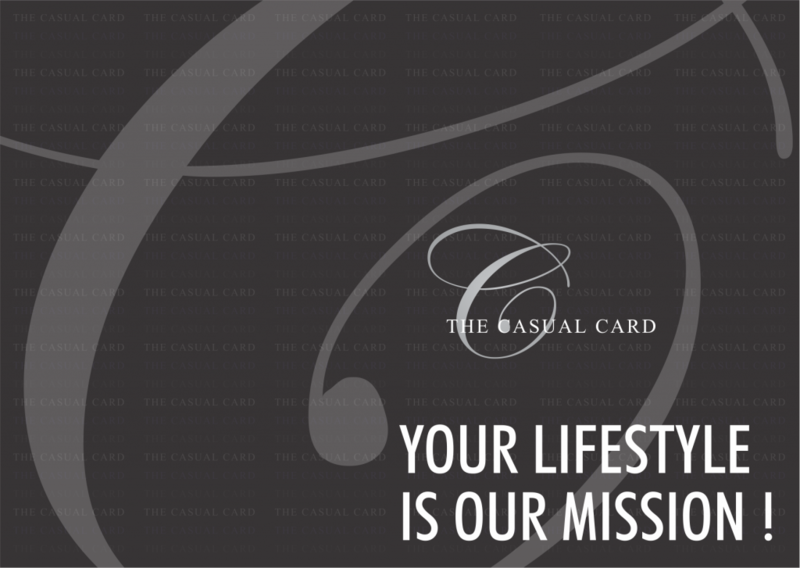 The Casual Group has a contract with all partners presented on www.casualcard.com in which individual advantages have been agreed for the casual card members. Nevertheless, it may happen that one or the other offer is not granted. The Casual Group assumes no responsibility in the event that an Acceptance Agent for any reason refuses to accept the Casual Card. Similarly, the Casual Group assumes no liability with respect to the incidental or additional services automatically provided with the Casual Card. a) The Casual Card must be signed by the cardholder upon receipt at the designated place. b) The Casual Cards may in no case be transferred or made available to third parties. c) The loss or theft of the Casual Cards must be reported to the Casual Group immediately. d) Further use of a prohibited, non-binding, invalid, presented or fake random card is prohibited and may result in criminal prosecution. e) Changes to the information given in the card application (name, address, etc.) must be notified in writing form to the Casual Group within 14 days. Until a new address is received, messages from the Casual Group to the last known address will be considered valid. f) If the cardholder has not received a new card up to 14 days before expiration of the previous Casual Card, this must be reported to the Casual Group immediately. Upon receipt of the new Casual Card, the previous Casual Card must be rendered unusable immediately. Generally, Casual Card, to the extent permitted by law, disclaims all liability. In particular, for the transactions concluded using the Casual Card, the Casual Group rejects any liability, as the corresponding contract is entered into between the cardholder and the respective acceptance point; Any discrepancies in relation to purchased goods or services, such as complaints, or further disagreements and claims arising from these legal transactions are to be regulated directly and exclusively with the respective acceptance point. Also any liability for damages from telephone, Internet or correspondence transactions as well as thereby paid services is rejected by Casual Group. The risks of misuse of the casual card lie with the cardholder. This also applies to the use of the Casual Card by telephone, Internet or by correspondence. Point 2.4 applies. The Casual Group disclaims any liability for damages caused by the cardholder resulting from any use of a casual card upon its recovery or return. In particular, the right to use the card number for telephone, correspondence or Internet orders expires. The cardholder is fully liable for any resulting damages. If an additional card is issued, the cardholder (main card) and the additional cardholder are jointly and severally liable for all obligations arising from the use of the additional card. The cardholder accepts that the Casual Group registers and edits its data. It authorizes the Casual Group to use the Casual Card Contractors and third party contractors in connection with the issue and use of the Casual Card for marketing purposes. The cardholder may be offered exclusive, preferred products and services based on this information. The cardholder may waive such offers with a written declaration. The Casual Group is also entitled to use third parties in Switzerland or abroad to fulfill its duties, in particular in connection with the settlement of the card relationship and the processing of card transactions. The Cardholder agrees that the Casual Group shall make available to all third parties in Germany and abroad all data available to it, insofar as this is necessary for the diligent performance of the assigned tasks. The Casual Group reserves the right to change the terms and conditions (including adjustments to the services and the applicable annual fee, etc.) at any time. Changes will be communicated in writing or in another appropriate form and shall be deemed approved if the Casual Card is not terminated and the card is returned before the changes take effect. Should individual provisions of this contract be or become invalid in whole or in part, or should this contract have a loophole, this shall not affect the validity of the remaining provisions of this contract. The parties to the contract undertake to replace the ineffective provision with a legally binding provision which, from an economic point of view, comes as close as possible to the meaning and purpose of the invalid provision. This contract is subject to Swiss law. Jurisdiction is Zug, mandatory statutory jurisdiction reserved.